Contact form, Art Market News, etc. Rip Van Winkle Paintings, Sculpture, etc. 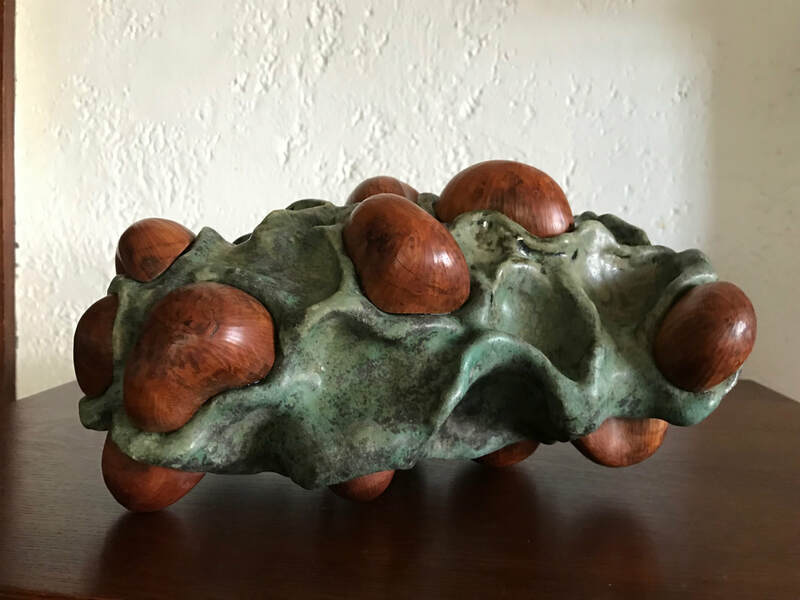 Robert Augstell is a contemporary American artist who works in a variety of medium including ceramic sculpture often in combination with exotic woods. Bob is a graduate of the State University of New York at Albany with a Bachelor's degree in Applied Arts and a concentration in Art History. Concurrently, Bob studied jewelry making at the College of St. Rose, working under William Tripp. In 2008, Bob earned a Master's Degree in Science of Education for Visual Arts from the College of St. Rose in Albany. 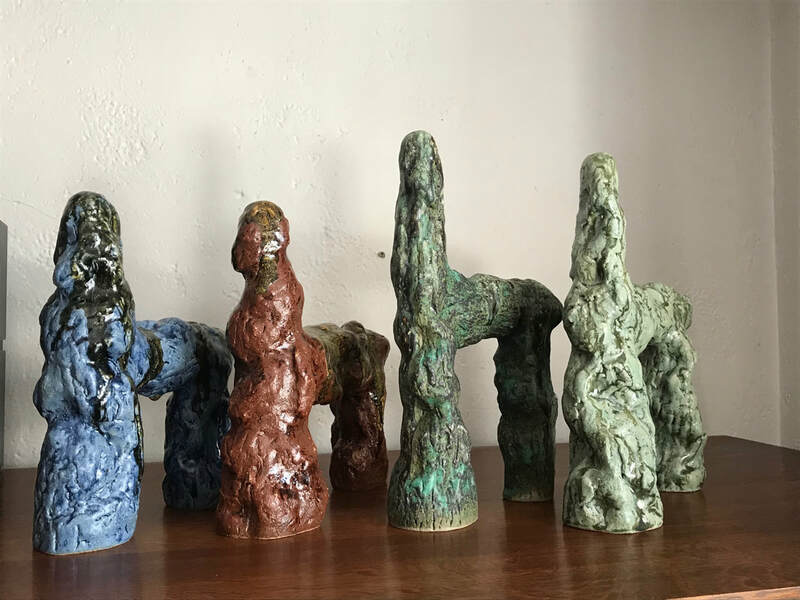 While there, his concentration was working with ceramics under well-known ceramicist and professor Regis Brodie at Skidmore College, Saratoga Springs. 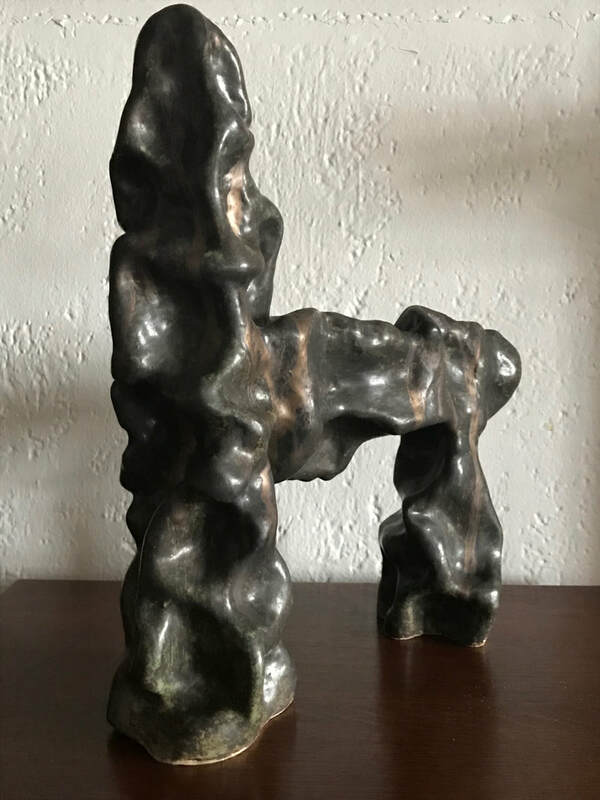 Brodie conveyed a traditional approach to using clay medium while at the same time being open to new forms of interpretation, which led to Augstell's development of the medium as a sculptural method rather than a functional form based medium. 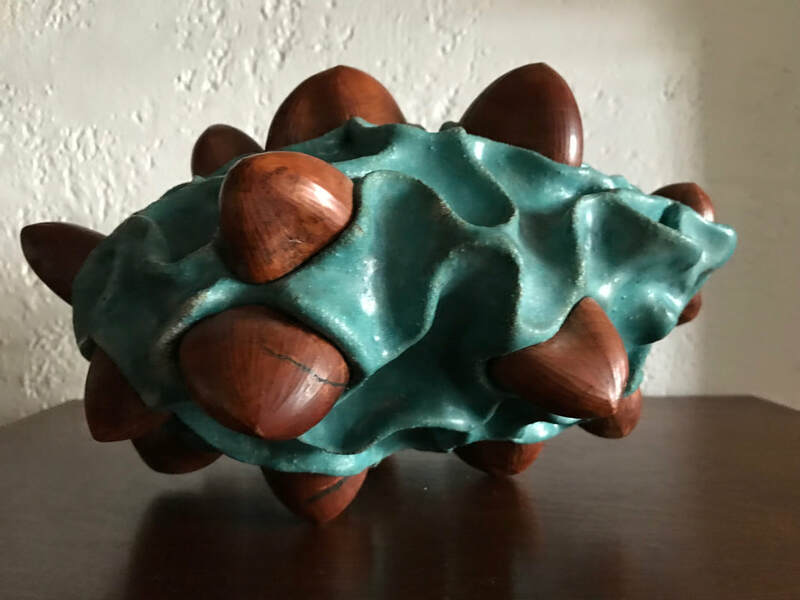 ​Bob creates ceramic sculptures that evoke the feeling of being found in nature, sometimes with the look and texture of archaeological finds, and at other times, by pushing the bounds of ordinary forms such as bowls by creating massive, conceptually oriented forms often adorned with exotic woods. 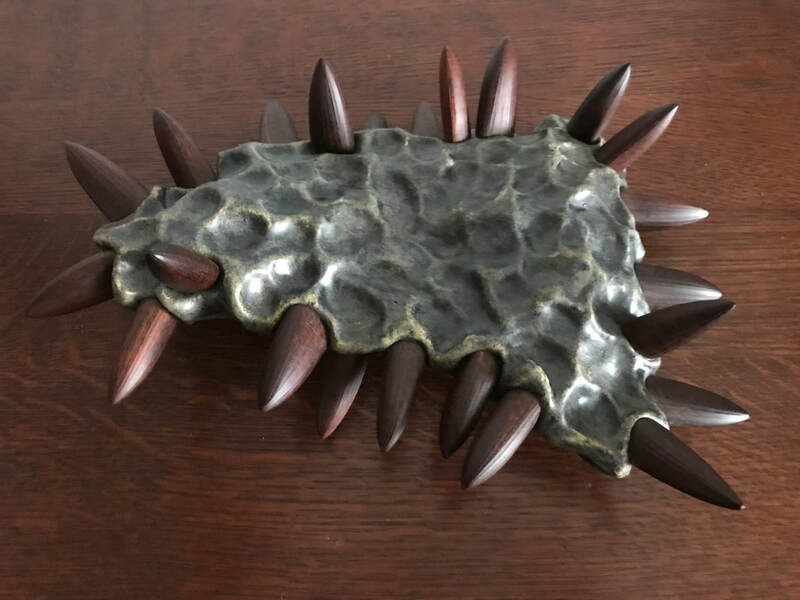 The use of contrasting elements is a painstaking process where each species of wood, whether cherry burl, long leaf pine, african blackwood, or other types of wood is hand crafted to fit into particular areas of the sculpture. Works like this can often take months or even years to create. In addition, rather than use standard glazes, Bob mixes his own materials to create one of a kind glazes, sometimes using as many as four different layers in the firing process. 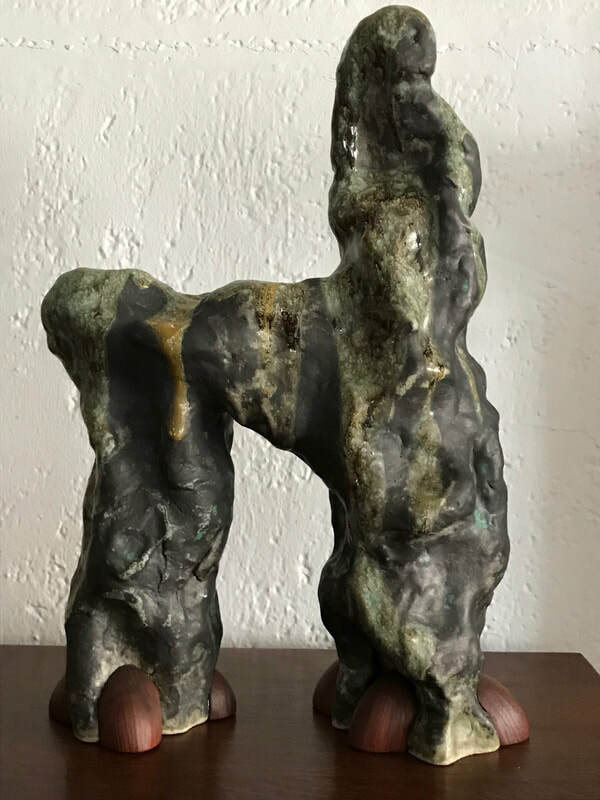 As a result, pieces like Untitled (Tang Horse series) convey the feeling of weathered or patinated bronze, even though they are created from clay. The end result is that Bob uses the medium to create sculptures that are truly unique works of art. 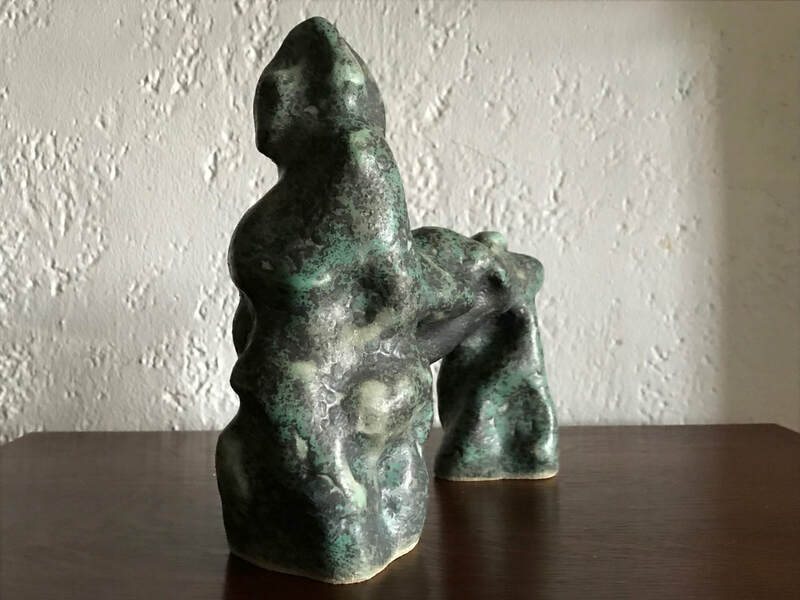 Each piece is a creation unto itself, and while some works may be part of a series, such as Specimen or Tang Horse, no two pieces are identical. 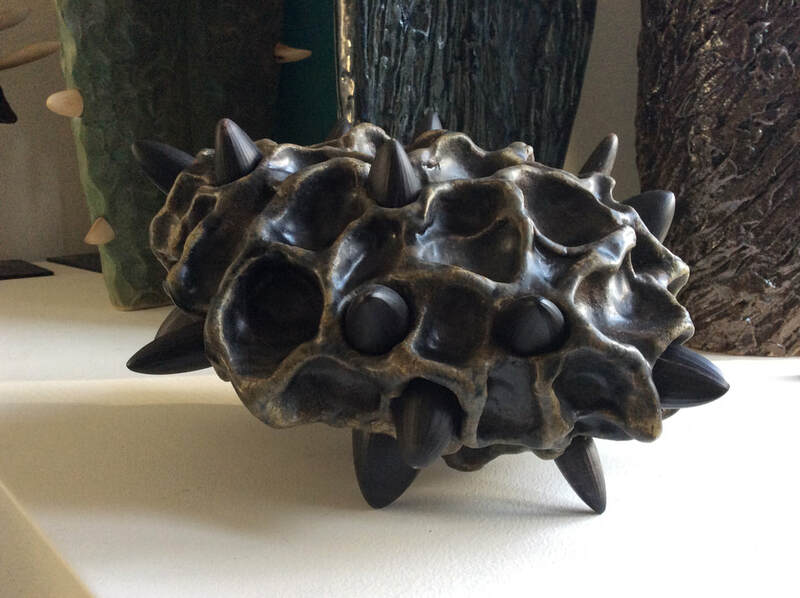 Bob's ceramic sculptures have won awards and is also part of the permanent collection of The Albany Institute of History and Art, Albany, New York. In addition, his work is included in many prominent collections such as: Ronald Lauder; Marshall and Maureen Cogan; Anthony DeLorenzo; Anna Anisimova, and many others. Bob's work has been featured in important periodicals including Architectural Digest, among others. Prices from $850.00 and can be purchased via PayPal, credit card through PayPal as well as check or wire transfer. We welcome your inquiries and would be pleased to assist with the purchase of any of Bob's pieces. A modern interpretation of an ancient art form. Robert Augstell's Tang Horse series finds inspiration in ancient Chinese art forms. Four pieces shown here are sculpted from clay by hand, no two forms are alike, and Robert hand mixes each glaze so that each glazed work is different. Sizes range from 11 inches or so (shown) to 18 inches, to one monumental piece measuring 26 inches in height). 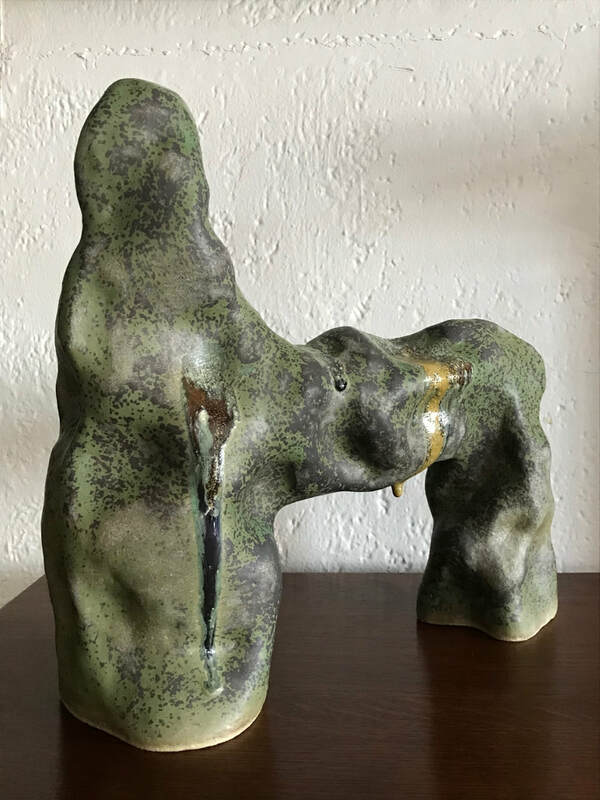 Tang Horse, (Lime green), 2019 - Ceramic sculpture with a unique hand-mixed lime green glaze). 14 inches (height); 10.50 (depth); 3.50 inches (width). Signed on the back leg: Augstell. Retail price: $850.00. 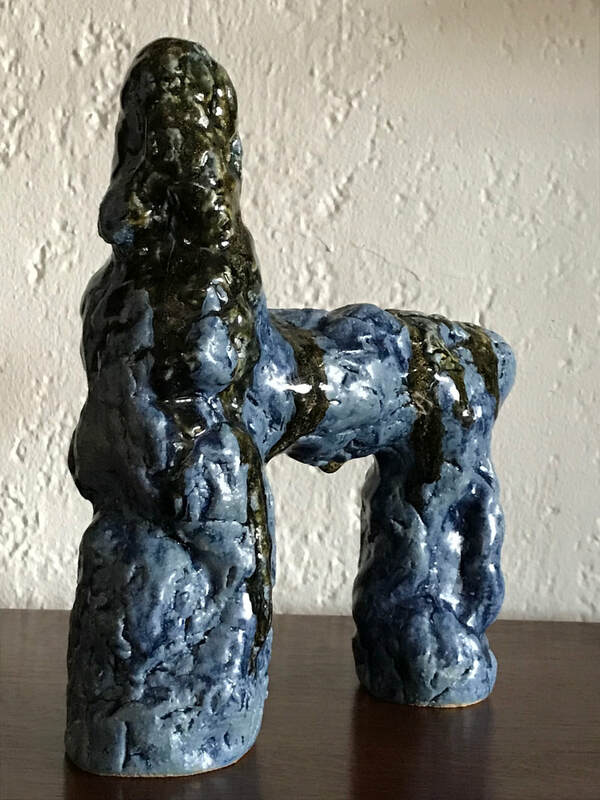 Tang Horse, (Blue/brown), 2019 - Ceramic sculpture with a unique hand-mixed blue and brown glaze. 11.50 inches (height); 10 inches (depth); 3 inches width. Retail price: $850.00. 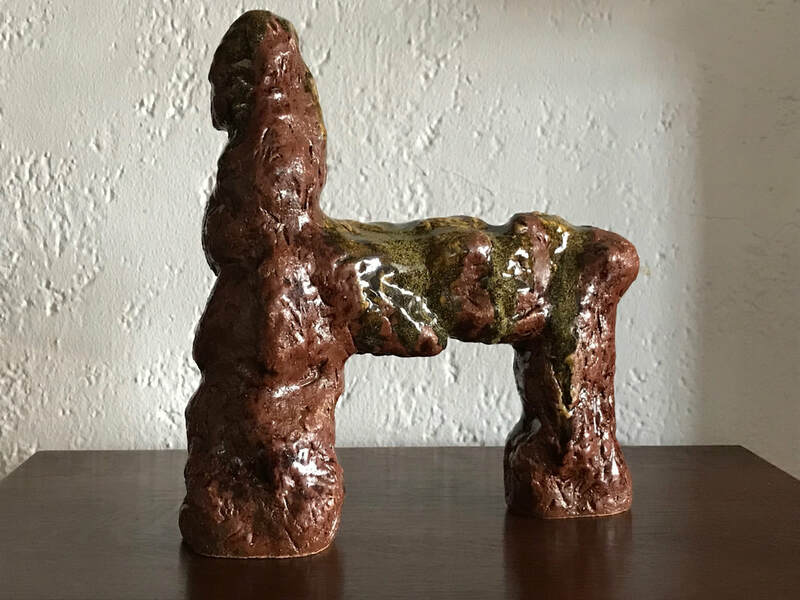 Tang Horse, (Red/brown), 2019 - Ceramic sculpture with a unique hand-mixed brick red glaze with mossy brown. 12 inches (height); 11 inches (depth); 3.50 inches (width). Signed: Augstell, on the back leg. Retail price: $850.00. 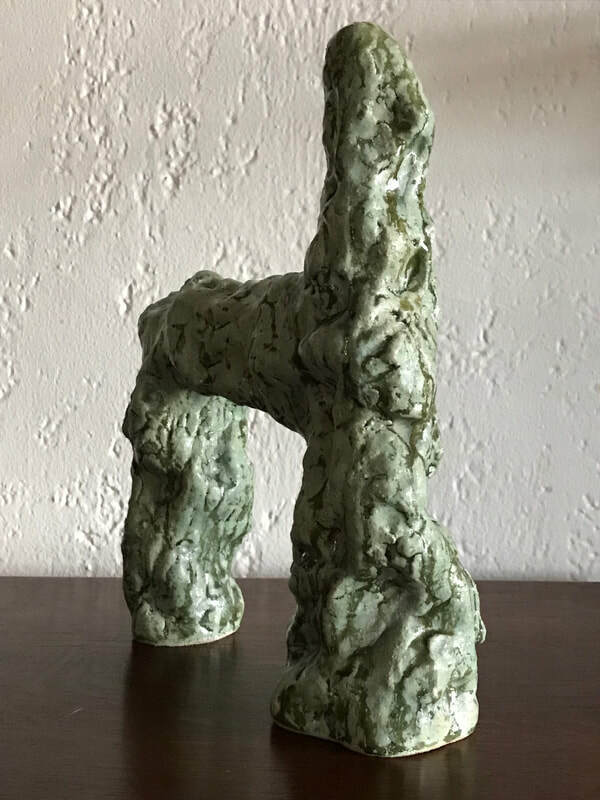 Untitled (Tang Horse #3 - small), 2018 - Ceramic sculpture with a unique, hand-mixed bronze glaze. 9 inches (height); 9 inches (depth). Retail price: $850.00. Crawl. 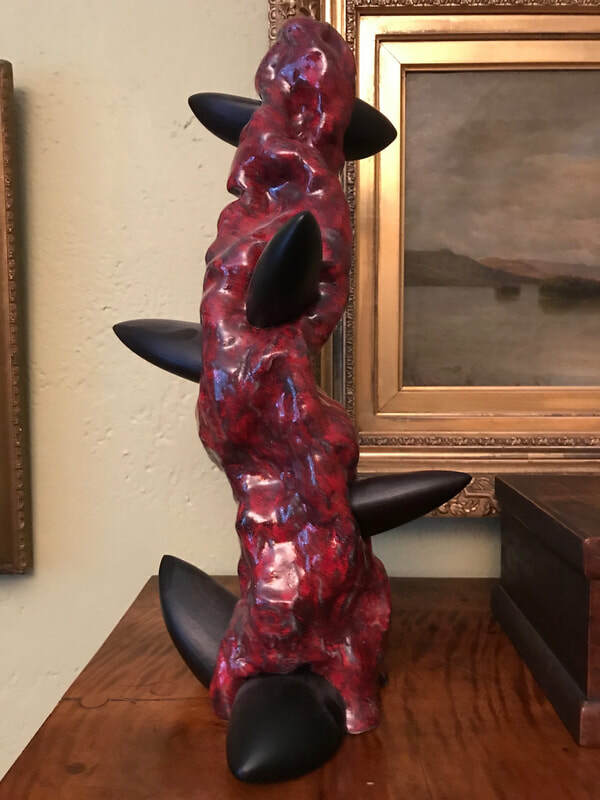 Ceramic sculpture with a unique hand mixed glaze and African buffalo horn appendages. 11 inches (length); 9 inches(width); 7 inches (height). (Signed. Retail price: $2,600.00. Untitled (Seaform #2) - by Robert Augstell (Contemporary American). 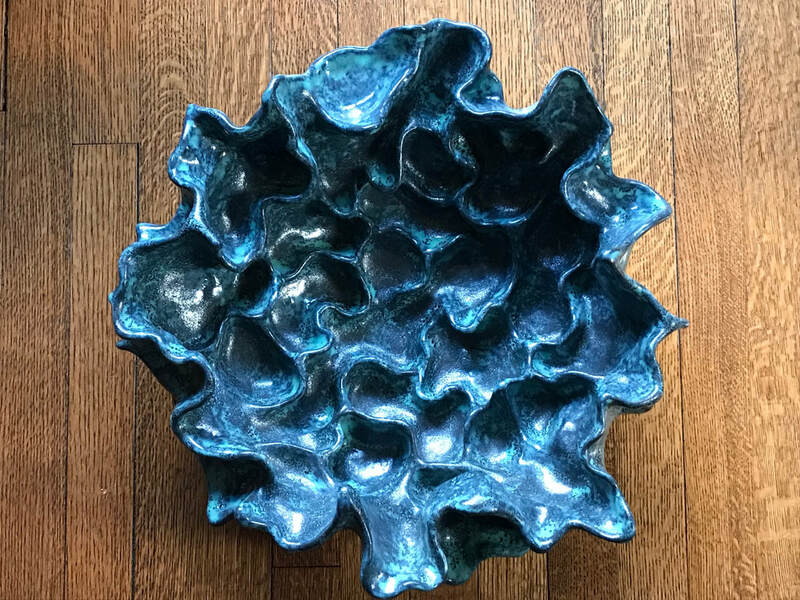 Ceramic sculpture with a unique blue glaze, and hand carved and applied cherry burl pieces. 13 inches (diameter); 6 inches (height). Retail price: $3,250.00. Untitled (Seaform) - by Robert Augstell (Contemporary American). 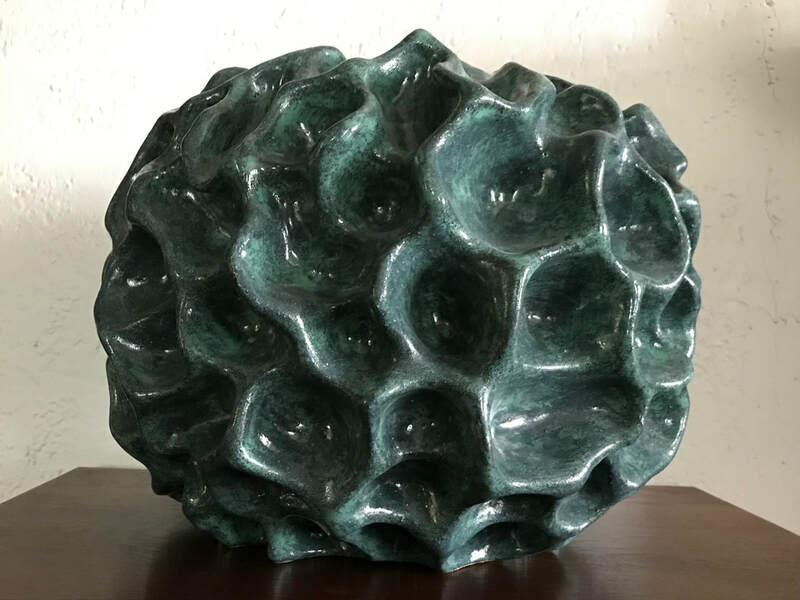 Ceramic Sculpture with a unique, hand-mixed bluish glaze over a black glaze. 18 inches (length); 17 inches (width); 6 inches (height). Retail price: $2,800.00. Tang Horse, #2 (large) (2018) - Ceramic sculpture with a unique, hand-mixed weathered bronze glaze with a milky white overglaze. 16.25 inches (height); 13 inches (depth). Retail price: $2,600.00. 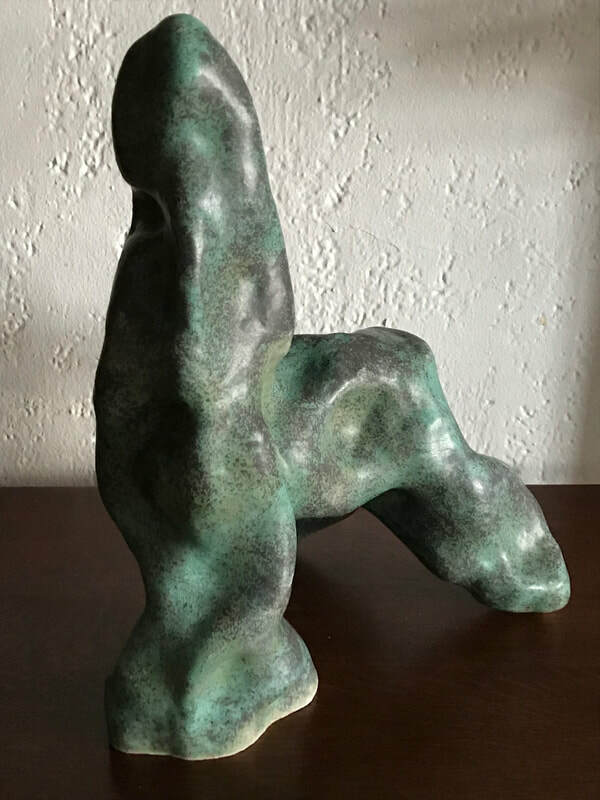 Tang Horse, #5 - (large) (2019) - Ceramic sculpture with a unique hand mixed dark greenish brown glaze with copper. 17 inches (height); 13 inches (wide). Retail price: $2,600.00. 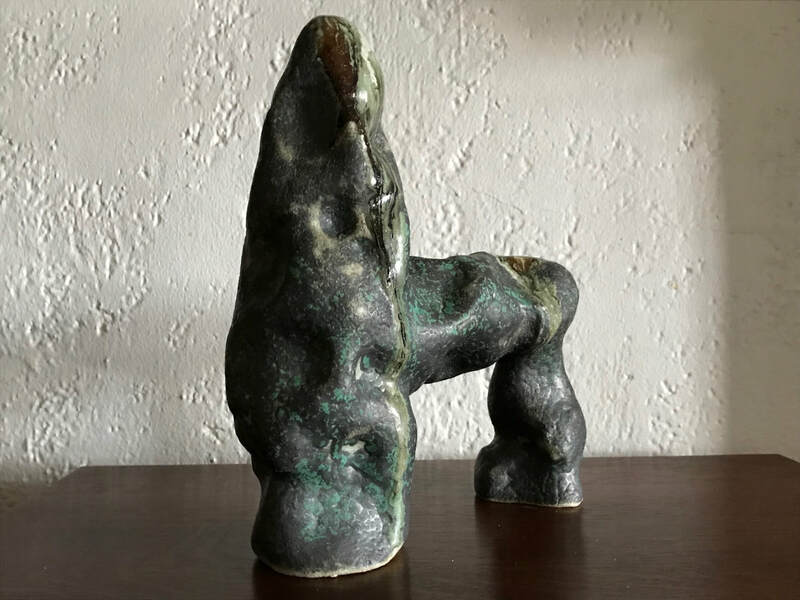 Tang Horse #4 (2018) (Small) - Ceramic sculpture with a unique weathered bronze glaze. 11.25 inches (height), 10 inches (depth). Retail price: $850.00. Untitled (Staghorn coral variation #1). 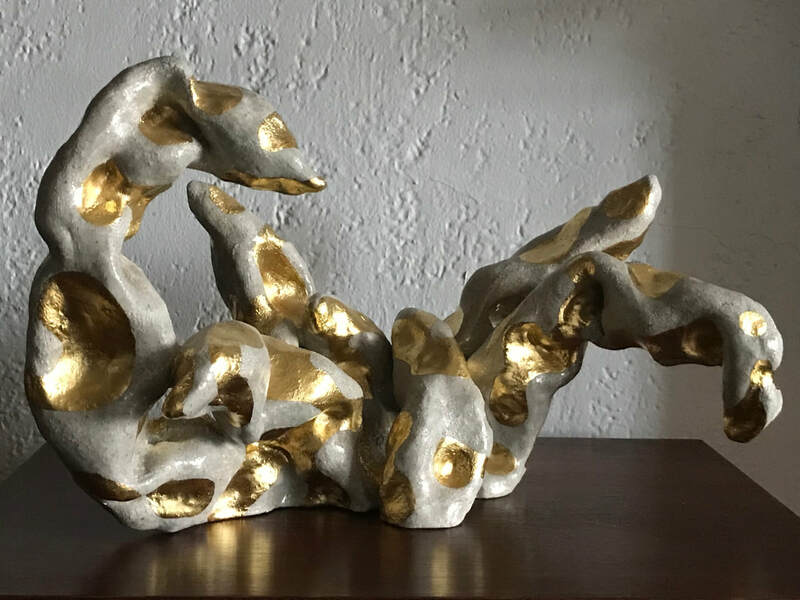 Ceramic sculpture with a unique hand mixed white glaze and gold leaf. 20 inches (wide); 13 inches (depth); 11 inches (height). Retail price: $2,800.00. 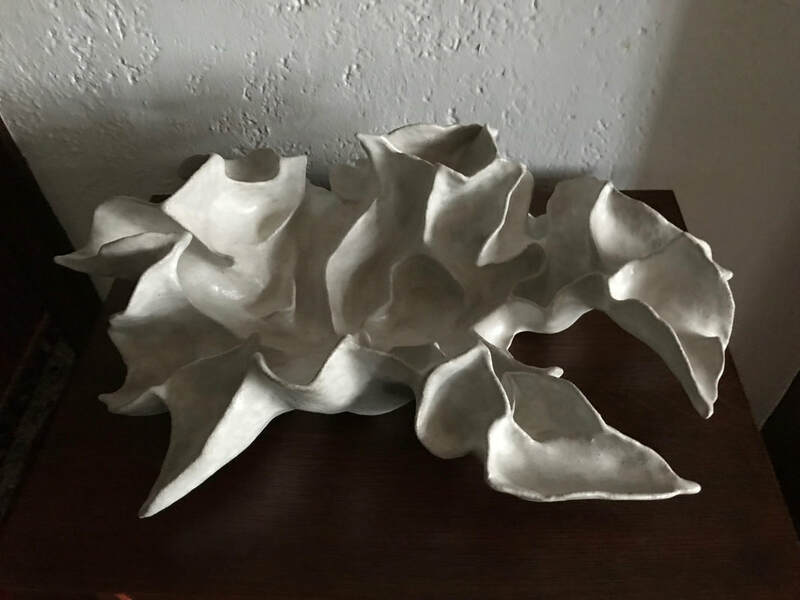 Untitled (Leaf Form Contortion) - Ceramic sculpture with white glaze. 12 inches (depth); 21 inches (width). Retail price: $2,400.00. 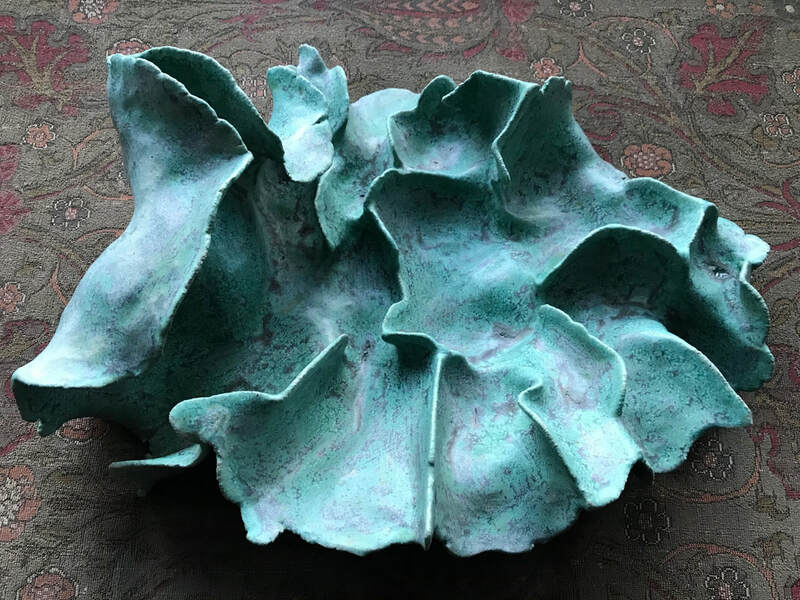 Untitled (Leaf form contortion #2), 2019 - Ceramic sculpture with a weathered bronze green glaze with a milky white overglaze. 15 inches (length); 11 inches (width); 5.50 inches (height). Signed Augstell. Retail price: $1,850.00.